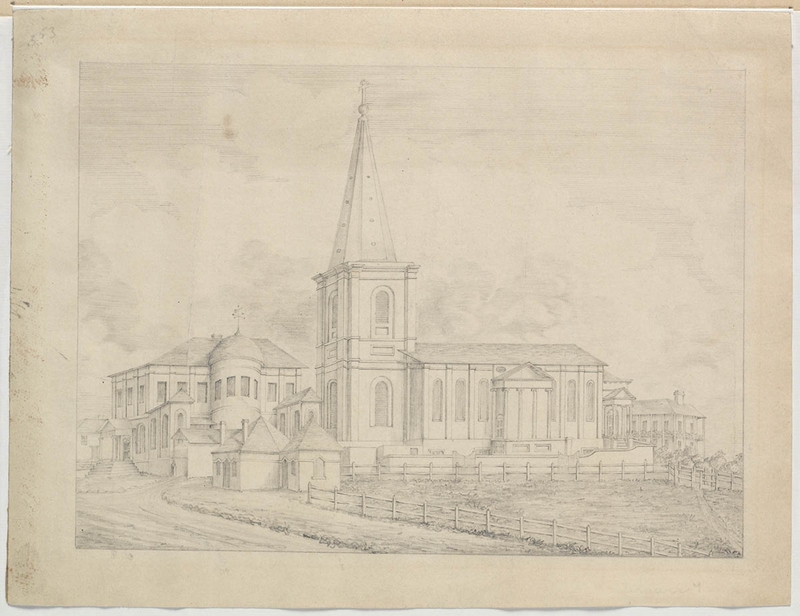 The foundation stone for St James church was laid by Governor Macquarie in 1819. It was designed in 1819 by Francis Greenway (1777-1837) and consecrated in 1824. An architect from England, Greenway was found guilty of forgery, and transported to NSW in 1814. In 1816 Governor Macquarie appointed him Civil Architect. He was responsible for many significant buildings including the Government Stables (now the Conservatorium of Music) South Head Lighthouse and Hyde Park Convict Barracks. The Reverend Samuel Marsden delivered the first sermon 6 July, 1824.